Plenty of people looking at CCTV cameras and kits have a budget in mind. Some are more flexible with their budget than others, but what do you do if you are extremely limited in what you can get? If you can only afford one camera, you might wonder if it is worth it. We think it is, since even one camera is better than none. And we have some tips to think about if you are thinking along these lines. Most burglars get into a property by the front door. So, if you’re only going to have one camera, put it there. This is also highly visible, and most people would assume there will be cameras around the back of your Blackpool property, too. Would you go around to the rear of a property to check, when you knew there was a good chance of being caught on camera before you even got there? If one camera is your limit, make sure you get the best model you possibly can. Look for one you can operate remotely if possible. Some will be in a fixed position, and that provides far less coverage. By opting for a better camera, you get increased capabilities and can cover a far wider area as well. Shopping around and comparing brands will help you get the most for your money. While kits provide excellent value for money, you may not want to go for a kit to start with if your budget is tight. So, see if you can buy one decent camera now, and add another to it later. Most digital systems can accommodate this, and you should have a future-proof system anyway. Consider your options and see whether you can buy one now, and buy one or two more later without any hassle. Could you afford more than one camera now with a quote from our team? You might be surprised how far your money will go when you turn to us for a comprehensive and affordable quote. 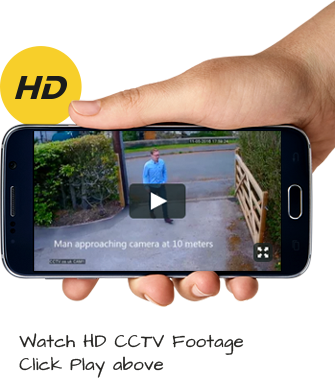 Just call now, free, on 0800 211 8310 to find out how affordable CCTV in Blackpool can be with our assistance. Getting the options from the experts is always the best way to get your ideal CCTV system.